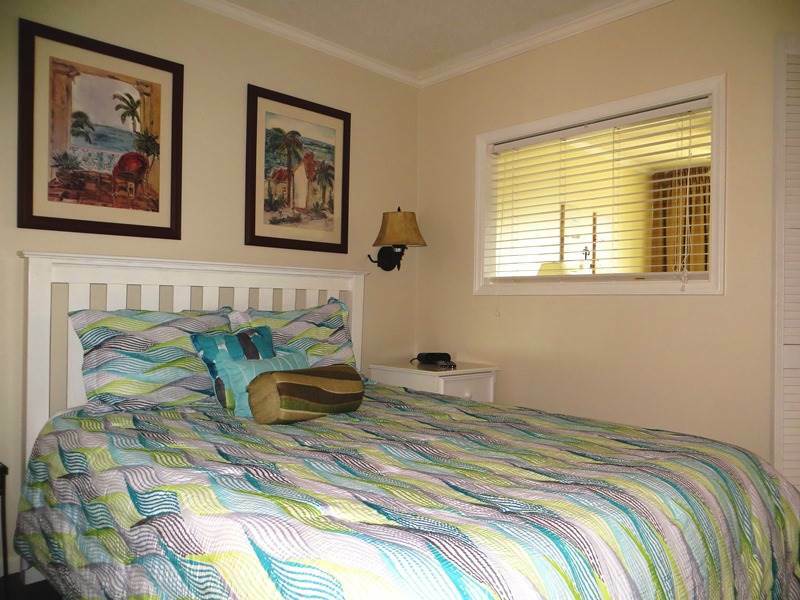 Sleeps 4 in this one bedroom, one bathroom third floor condotel centrally located on beautiful Ocean Isle Beach, one block from ocean and walking distance to local restaurants and activities. Beautifully renovated in 2015. Bedding: Queen (tempurpedic mattress), Double sleeper. Condo has in-room microwave, ipod docking station, full size refrigerator with freezer, two flat panel TVs and 2 DVD players. Onsite outdoor swimming pool for your enjoyment! NON-SMOKING All condos may be rented on a nightly basis. Free Wireless Internet!! No pets allowed.